Cakes With Faces > New Stuff > NEW – Cute Charms and Hair Accessories! 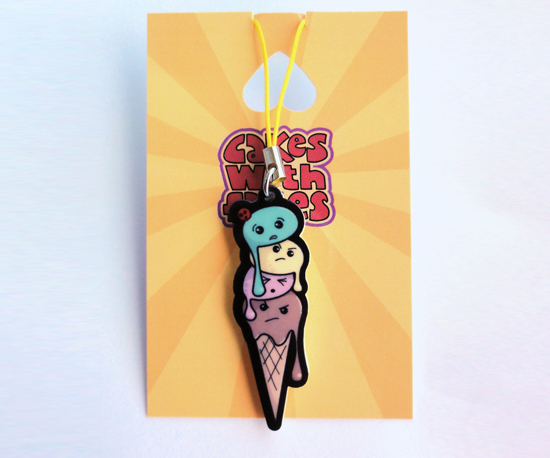 If you came to Japanorama in Leicester you’ll have had a sneak preview of my new charms and hair accessories! It’s really exciting to have an entirely new range of Cakes with Faces items we’ve never had before. 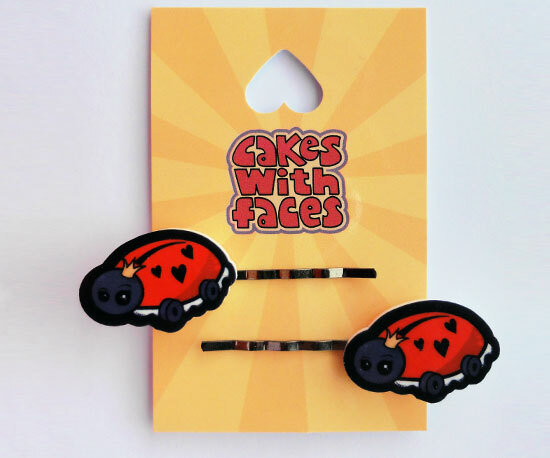 The hair slides come in sets of two – there are four designs: fairy cakes, nerd cakes (or just short-sighted cakes) with glasses, battenbergs and sulky ladybird queens on wheels. 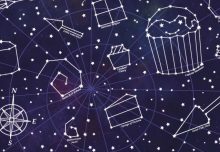 They’re really small and cute – my favourite are the cakes with glasses! My favourite type of hair clips to wear are crocodile clips – they’re a little larger than the slides, and come in two designs, both monsters! 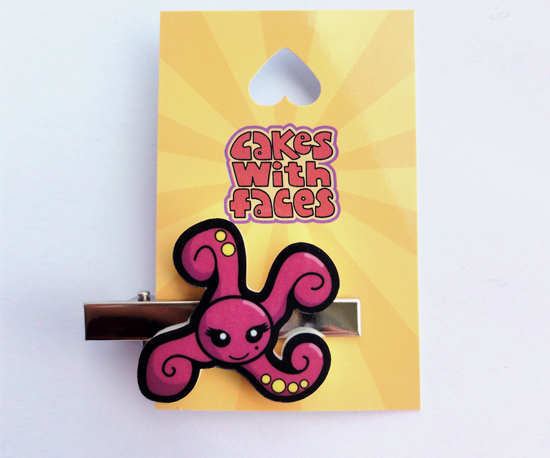 I’ve been wearing the tentacle monster clip this week – it’s like a mini monster attack in your hair! 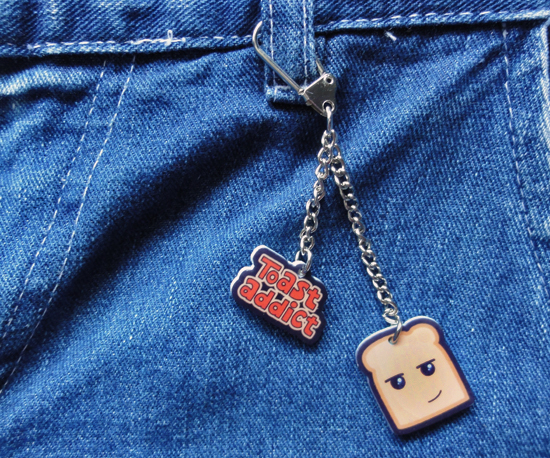 The double chain charms feature two charms each, and there are three designs: Vegetable Knife Crime (to match the chopping boards), Toast Addict and Pain au Chocolat (featuring my tough croissant!). 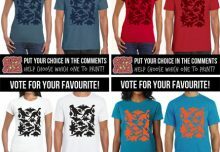 Attach them to your bag, keyring, wallet, jacket, jeans… anything you can clip on to! The single charms are on loops, like phone charms, but they’re pretty versatile so you could attach them anywhere. They look great on bags, or hang them from your pinboard, at your desk… anywhere that needs added cuteness. 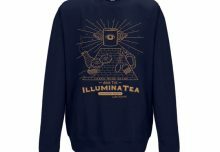 There’s a fairy cake design and a tiny ice cream (a miniature version of the design on the ice cream t-shirt – now sold out!). The charms and clips are all in the online shop now! If you’re only ordering charms, they’re super light so the shipping rate for small orders will apply, or combine them with other items at the standard shipping rate. International shipping to any country in the world is by Airmail – just place your order as normal and enter your country at checkout. Take a look to see all the new designs – I’ll also have them at MCM Expo at the end of May… I’d love to see where the charms go to live, so send me your photos, or share them on my Facebook or Twitter!